DAILY FILM FORUM: NO GOOD DEED GOES UNPUNISHED IN NEWLY RELEASED TRAILER FOR "THE SAMARITANS"
NO GOOD DEED GOES UNPUNISHED IN NEWLY RELEASED TRAILER FOR "THE SAMARITANS"
A frightening first look at the highly anticipated new thriller film. The official trailer for the new award winning thriller film, “The Samaritans” is officially released. 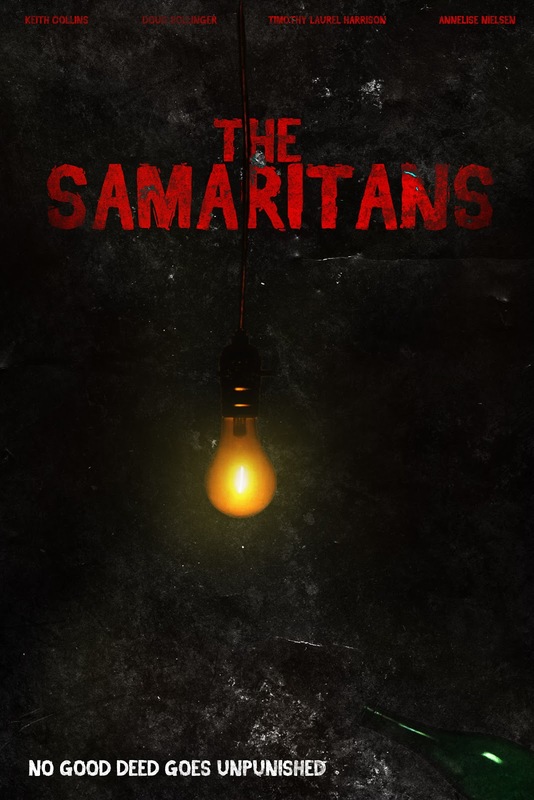 The trailer reveals the harrowing world of The Samaritans. A group of four co-workers are summoned to collaborate on what may be their final project as they struggle to reconcile their past decisions with their present confines. We have billed this as one of the most scariest movies of the decade and we stand true to our word. This film is the most shocking, revealing, clever pieces of cinema we have seen in a long time. A film that will leave it's mark, The Samaritans fully delivers with unbearable fear and unforgetable fright. The cast of this gem is impeccable really selling the scare factor, while on screen they are all just down right creepy in their own way. Hoping for a release date soon, do not miss out on any chances to view this film when possible you'll never forget it! !